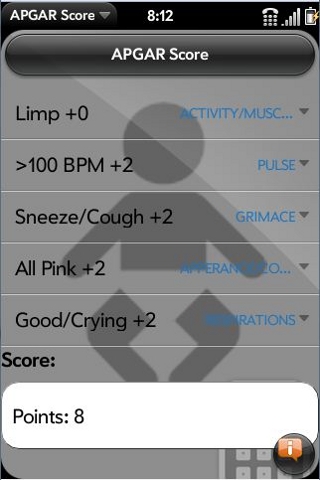 The Apgar score was devised in 1952 by Dr. Virginia Apgar as a simple and repeatable method to quickly and summarily assess the health of newborn children immediately after birth.Apgar was an anesthesiologist who developed the score in order to ascertain the effects of obstetric anesthesia on babies. The Apgar score is determined by evaluating the newborn baby on five simple criteria on a scale from zero to two, then summing up the five values thus obtained. 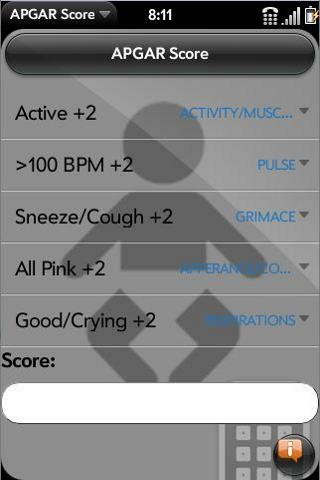 The resulting Apgar score ranges from zero to 10. *Requires less inputs to calculate result. 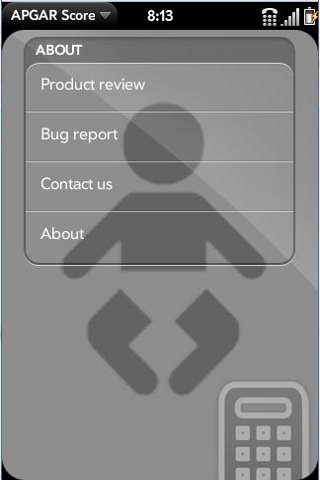 *Attractive user interface & easy to use. * No internet connection is required.